Where and what do Peruvian surfers (and their friends!) eat after long rides down El Pico Alto? Find out here! 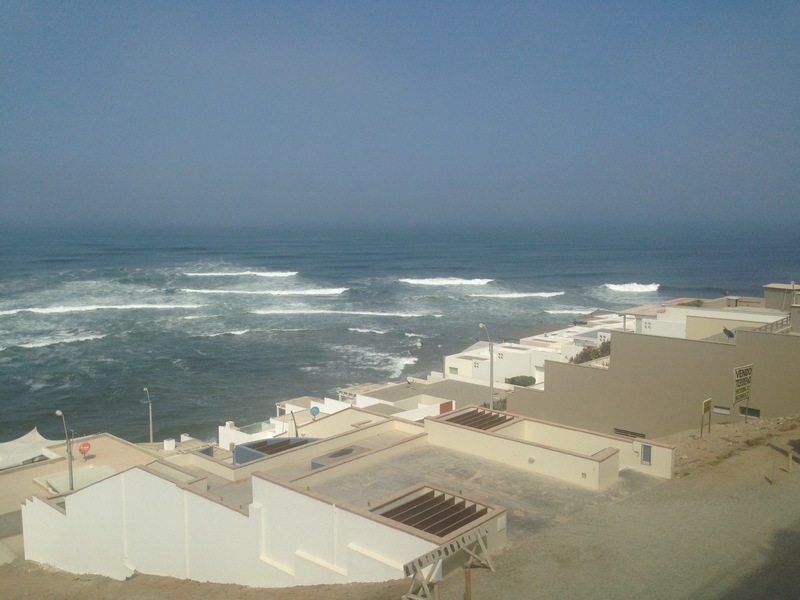 I consider it the ultimate privilege to have been let into a secret few but the most worldly of surfers or locals know: the gem that is the area surrounding the Pacific seaside town of Punta Hermosa, Peru. I sincerely hope my friends don’t wish me ill for sharing a few great spots with you. Hence a daily drive to Lima for dinner and drinks is not the greatest idea if you choose to visit Punta Hermosa. The area, moreover, has only a couple of hotels, which most international travelers would find more like a hostel and not up to typical standards. Instead, if you’d like to visit as a foreigner, check out AirBnb, especially during low season (remember: summer in the Southern Hemisphere is December to March) for a long weekend getaway. Many houses or condominiums are rented by their owners, and many are configured to accommodate large or multiple families vacationing. During summer months, families often rent units for the entire summer, so availability is limited and prices are much higher. Early fall is a good time to visit. Lounging by the beach (remaining mindful of the equatorial sun), stand up paddle boarding, surfing, and ATV riding are popular pastimes – and the latter is a key mode of transportation around the dusty roads encircling the beaches north of town. 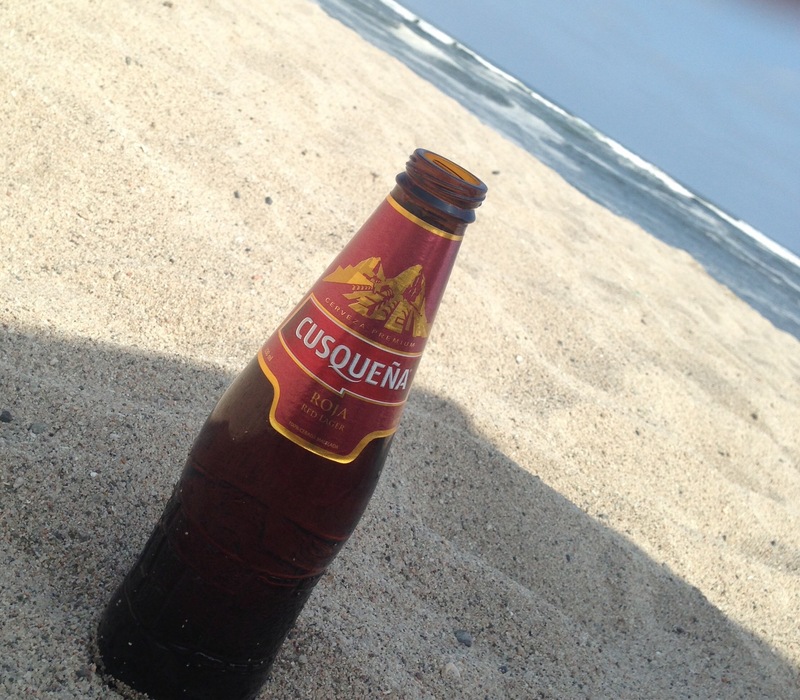 Cooling off with a cold Cusqueña or Trujillo beer – especially paired with some chips de camote (sweet potato chips) or Habas (dried, fried fava beans, my personal favorite) is a great antidote to the tiring sun. If you’re lounging at Playa Caballeros during summer months, a small beachside stand offers fresh oysters, by which my friends swear (oysters are not my jam, so I can’t attest). So what does one eat? In the mid-afternoon, surfers flock to Marcelo Sea Food in Playa Señoritas for fresh ceviches and tiraditos made to order from seafood caught that morning by Marcelo himself. I have eaten there many times, and each time, the corvina (sea bass) and lenguado (sole) ceviche is perfect, firm and tart, not fishy. Though you’ll wait a bit for your food, pass the time with oyster and scallop appetizers and Cusquena’s earthy (and gluten free!) 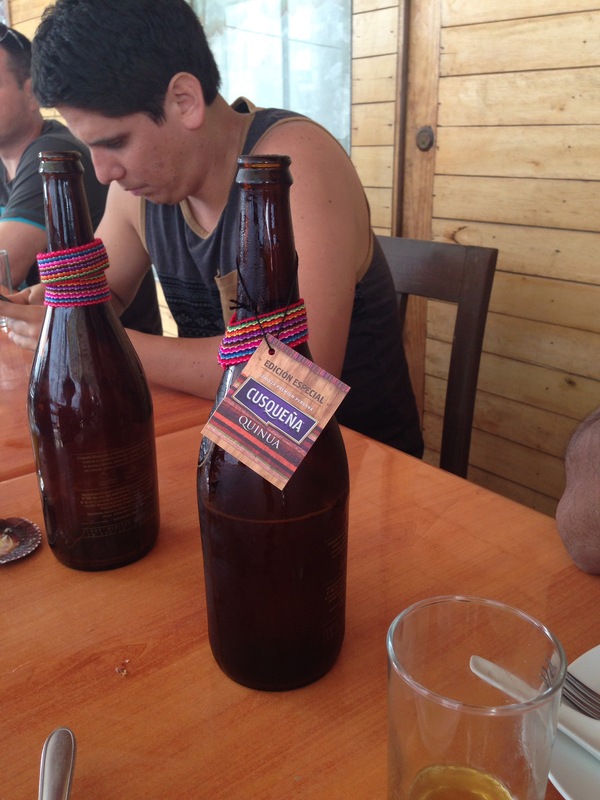 quinoa beer. Ocean to table doesn’t get more direct than that! For dinner, Tio Richi’s pizzeria is a must. 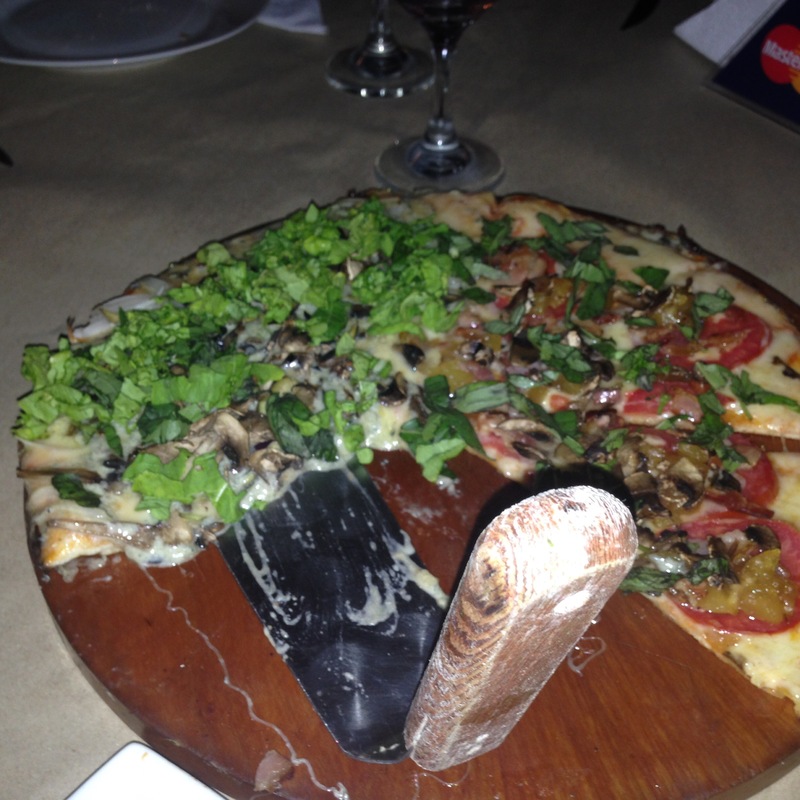 With a beachy, tiki hut-like ambiance, their pizzas are unexpectedly delicious. They offer an impressive array of toppings, from bleu cheese (queso azul), fresh basil (albahaca), and prawns (langostinos) to leeks and corn. But their specialty pizzas shoudn’t be missed, either. Their seafood pizza is like a creamy shrimp scampi on flatbread. 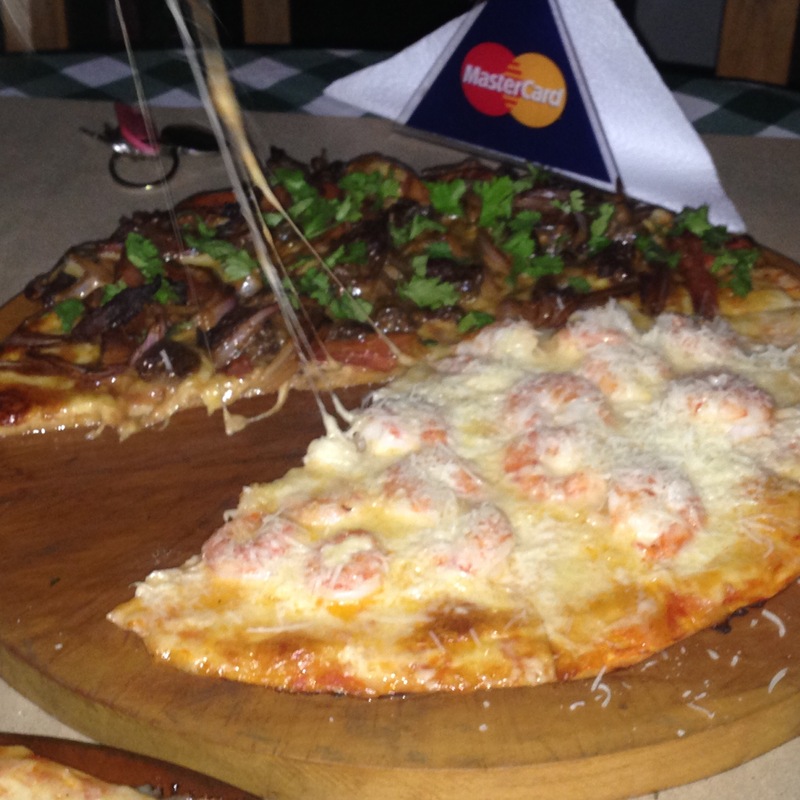 But best of all is the lomo saltado pizza, which converts Peru’s national dish into an interesting and flavorful pizza. Soy-marinated beef, peppers, and onions combined with cheese? The seemingly discordant flavors marry exceptionally well and make it difficult to stop after a slice…or two… Paired with Chilean Cabernet Sauvignon, I could eat the lomo saltado pizza every day. For a more upscale pizza experience, Moana Restobar is a classy, open air restaurant right on the sand at Playa Caballeros. By night, it becomes a bustling nightclub with DJs or live music and a wide array of cocktails you wouldn’t expect outside of Lima. If you look hard enough (and ask around), you can find plenty of other hidden gems, especially along the Antigua Panamericana Sur towards Lurin and on the way to and from the Panamericana Sur freeway. The road is lined with restaurants, some of which locals will dismiss, but a few even taxi drivers from Lima will point out enthusiastically. But the best meals perhaps are those made at home. If you’re staying in a rented home, you likely are perfectly equipped for a DIY barbecue or ceviche. Numerous markets in the area sell fresh, ripe produce – palta (avocados), choclo (Indian corn), papaya, mangoes, bananas, chirimoya, and more. Wait, chiri-what? you ask? Chirimoya was a new discovery for me on this trip, when a beach hawker stopped by our rental home and our landlord decided I must try it. Large and green on the outside, the flesh is almost snowy white, studded with large, black seeds that must be picked out. It is incredibly soft, sweet and juicy, its flavors seemed to me like a cross between pear and papaya. I wish we had it in the US. My friends tell me you can find a similar fruit in India, but the South American version is superior, so they say. My perfect breakfast (desayuno perfecto) was homemade: fresh, soft brown bread spread with creamy, mashed avocado and slices of salty queso fresco. Ultra-sweet, Orange-hued mango added a sweet counterpoint. Words can’t describe how good the Peruvian mango was. Sigh, another item that is hard to find in the U.S. Our mangoes are dull, hard, and lifeless in comparison. 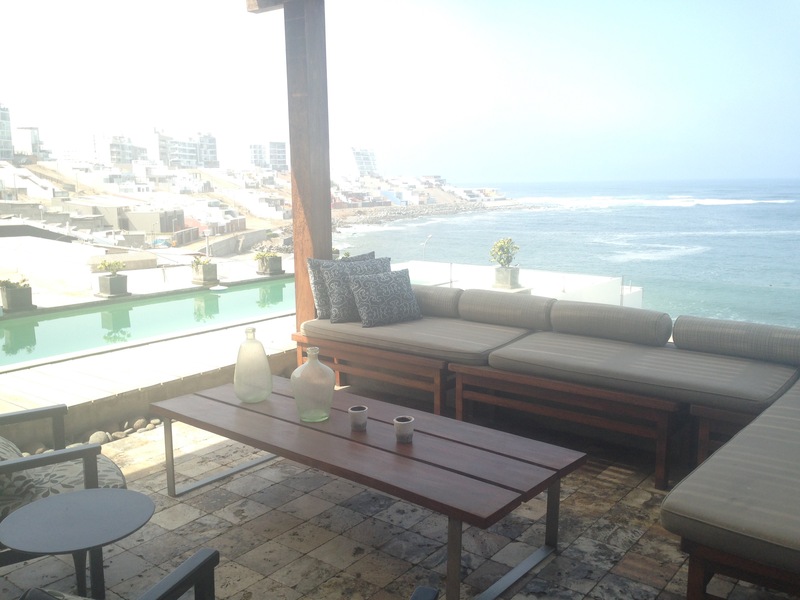 In past visits to the town, I’ve had incredible homemade ceviche and helped grill steak, chicken, and vegetables that somehow taste better grilled in the salt-tinged ocean air. Assuming you wash your produce correctly, I can think of few better ways to experience the bounty of Peru and the majesty of the Pacific. Have I put any grand ideas about a trip to Peru and visit to Punta Hermosa in your mind? It is truly a special place for so many locals and their friends – and certainly for me. If you do visit, please do your part to be a respectful guest and keep it spectacular!